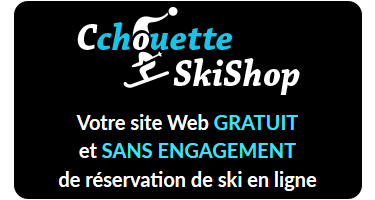 CCHOUETTE SKISHOP SERRE CHEVALIER is a Ski Rental Web Solution. Book your skis and snowboard online ! Up to 50 % off on prices. You can now ski on Saturday mornings or ski an extra day : the 7th day is free ! A new high capacity chairlift has been built for the coming 2019 winter season in Serre Chevalier. The new "Côte Chevalier" chair lift will allow much faster as well as efficient link from the Villeneuve Frejus to the Aravet areas.